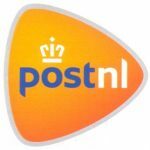 I am located in the Netherlands and ship my products with Post NL, using a tracking code. I've experienced shipping from the Netherlands to the US, Canada and Australia takes about eight to ten working days, to Europe three to seven and within the Netherlands two. I will always update you when your order has left the building and provide you with your tracking code. Please note that I'm not responsible for any and all duties and customs charges that may be incurred. 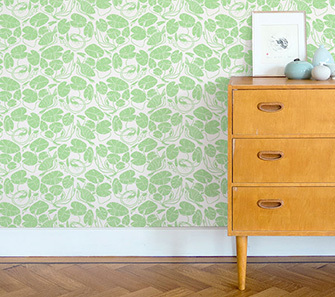 Standard shipping for orders over €300,- (that's two rolls of wallpaper) is free worldwide. When your order over €300,- the option 'free delivery' appears during checking out. BE SURE TO ACTUALLY SELECT THIS OPTION. Read more about Post NL, their policies and how they divided the countries they serve in zones here. Please note, this information is constantly and without notice subject to changes at Post NL. No rights can be acquired from the information above. Every part of the proces of producing my wallpaper is bespoke and handmade. I therefore aim for a 3 week turnaround time and will keep you updated on when your order is ready for shipment. This handmade process is also very interesting and I will keep you posted on the progress! I have set up the abbility to check-out through paypal. Paypal also enables you to pay with a creditcard. Please keep in mind that each product is printed to order. Once I have received your order, I am not able to make any changes. All orders are accepted on receipt of full payment, and I am unable to supply any product on a sale or return basis. All items are subject to availability and I will let you know as soon as I can if the product you have ordered are not available. I will make every effort to accept a cancellation if this is made before the products are being printed. All of my products are printed to order and therefore bespoke, so cancellation will not be possible once the printing has begun. All cancellations must be made in writing. Returns cannot be accepted unless by prior agreement. All faults or damages must be reported within 7 days of receipt of delivery. Unauthorised returns will not be credited to the customer’s account. Returns of bespoke products that have been printed to order, will only be accepted where the product is found to be faulty or damaged on receipt. 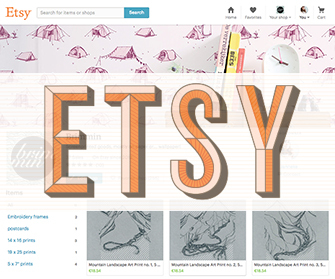 My products are all lovingly handmade and hand printed. Even though I aim for the best possible standards, some variations across the products in shape, colour and size may still occur. Since the colour reproduction on this website may vary depending on your screen calibration, I strongly suggest you first order a sample pack which will give you a closer impression. All of the colours are mixed by hand for each order and may vary when you re-order, I therefore strongly advice you to order enough initially. This is part of the process of a handmade artisan product and does not affect the overall aesthetic of the product or its ability for use, and is part of the charm of a handmade product. Any damages to your order must be notified to me within 72 hours of receipt via email. Returned items must be unused and in their original packaging. If you are unhappy with your purchase please contact me immediately. Any ‘made to order’ items and/or bespoke colour items are not returnable and cannot be refunded. Please note that any postage and packing charge made is non-refundable and I am unable to refund the cost of returning unsuitable items or cancelled orders.